In a fresh rebellion in the BSP, two MLAs on Thursday accused the party leadership of demanding "huge sums" for allotting tickets for the 2017 UP Assembly polls, prompting the party to suspend them hours after they levelled the allegation. The party cracked the whip on Palia MLA Romi Sahni and Mallawan MLA Brijesh Verma "taking a serious note of the baseless allegations and indiscipline" and suspended them with immediate effect. "They have been suspended and directed not to take part in any party programme," state BSP chief Ram Achal Rajbhar said in a press release. 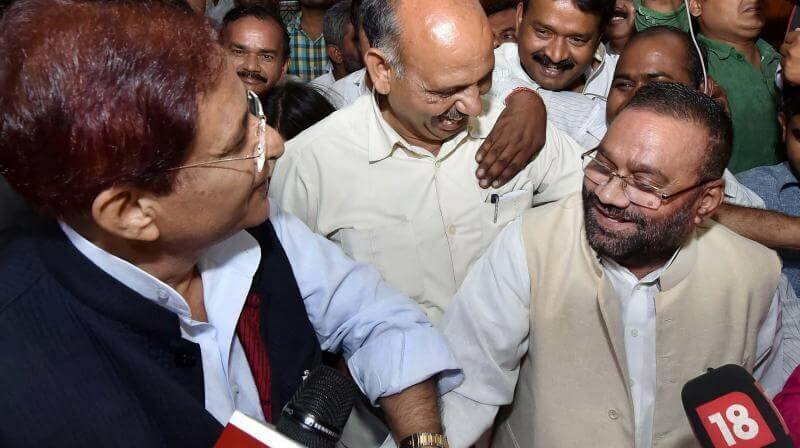 The action came after the two legislators criticised party workers for sloganeering against expelled BJP leader Dayashankar Singh's family and accused the party leadership of demanding "huge sums" for allotting tickets for the UP polls. "We condemn Singh's remarks against BSP chief Mayawati and also oppose the slogans raised during the BSP protest...His 12-year-old daughter cannot be punished for what Singh has said...Our sympathy is with the family," the two rebel BSP MLAs told reporters in Lucknow. They alleged that the BSP was getting a "bad name" because of the "huge sums" being demanded for party tickets which was against the ideals of both BR Ambedkar and Kanshi Ram, adding that anywhere between Rs 2 crore and Rs 10 crore was being demanded for tickets for the UP polls and even sitting MLAs were not being spared. Rajbhar, however, claimed that the BSP denied ticket to Sahni as he had remained busy in Lucknow to look after his business interests at the cost of his constituency and its people. Similarly, Verma was denied ticket as he had given "more importance to his family instead of party workers" during the local bodies' elections, he claimed. "These two (MLAs) have levelled baseless charges against the party only for getting tickets from other political parties," said Rajbhar. 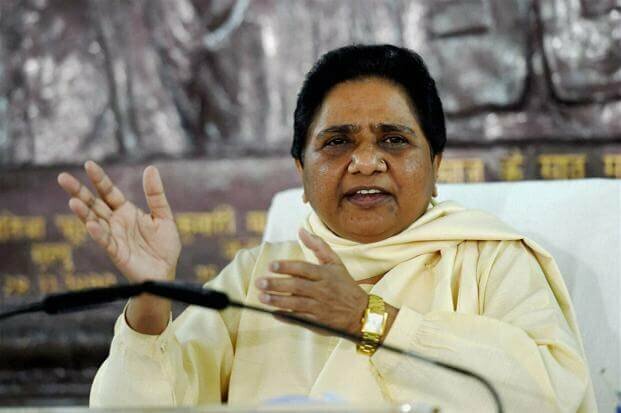 The two rebel MLAs claimed earlier in the day that they were called to Mayawati's residence on July 6 and, in her presence, were asked to pay Rs 5 crore for Palia and Rs 4 crore for Mallawan seats by BSP national general secretary Naseemuddin Siddiqui, adding that they were "warned" that their tickets would be cancelled if they did not pay up. "Tickets are given to whosoever gives the highest amount. This is very sad...Money is being demanded through party coordinators," they alleged. Replying to a query, they had said that they were not quitting the party. Regretting that "rampant money power" in the party was tarnishing its image, the duo claimed that the BSP would have otherwise touched "new horizons" and Mayawati could have become the "Prime Minister of the country". The latest rebellion comes weeks after Mayawati's party suffered back-to-back jolts when senior leaders Swami Prasad Maurya and RK Chaudhary quit the BSP, followed by former MLA Ravindra Nath Tripathi. All of them accused her of "auctioning" party tickets. Maurya is a prominent Other Backward Caste (OBC) leader, while Chaudhary is a Dalit, the two important votebanks of the BSP. Maurya, who was the Leader of Opposition in the UP Assembly, has floated a new outfit, Loktantrik Bahujan Manch (LBM). 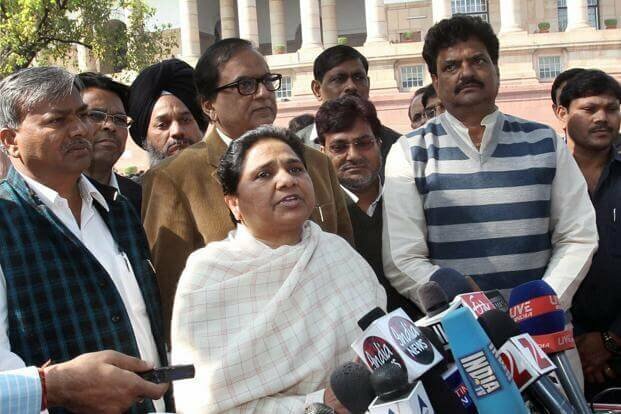 He claims the support of over 10 BSP MLAs.